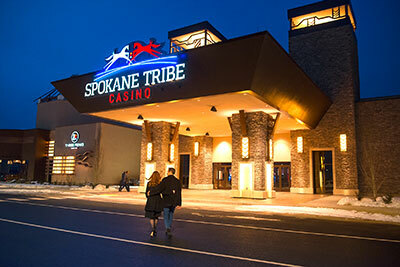 After 29+ years of modern gaming heritage in the State of Washington, and a casino approval process of 12+ years, the Spokane Tribe of Indians reaches an important milestone with the opening of the Spokane Tribe Casino today, January 8 at 7pm. At the time of the opening, the Spokane Tribe Casino will offer approximately 450 slot machines, 12 table games, a restaurant-bar, a deli and a gaming floor bar. The casino is opening in grand fashion, launching a $165,000 Giveaways & Getaways promotion with 400+ guaranteed winners, $100,000 in cash, and $65,000 in sunny vacation getaways and prizes. Drawings for the cash prizes and trips happen every Thursday. The casino is also featuring daily specials and promotions including Gift Days and Point Multipliers. The Spokane Tribe pursued gaming on its ancestral lands in a multi-year approval process at the federal and state levels, leading to the excitement of the grand opening. Carol Evans, Spokane Tribal Council Chair, expressed the council's gratitude: "Many supporters of the Spokane Tribe Economic Project helped with our efforts to make the casino become a reality, and we are grateful to share this celebration with them." Tribal leaders expect to continue development of the multi-phase project on their 145-acre site over the coming years. Future development will include options such as retail/commercial space, resort hotel, entertainment, Tribal Cultural Center. At full build-out and operation, the Spokane Tribe Casino will bring more than 5,000 full time and construction jobs to the region. More than 1,200 construction jobs with wages of approximately $65 million will be created throughout the multi-phase project. 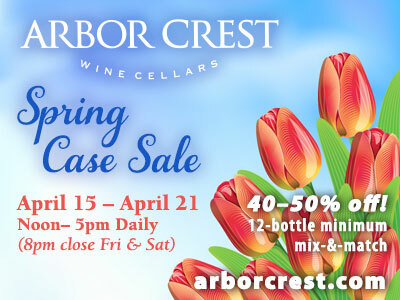 For more information, visit www.spokanetribecasino.com. 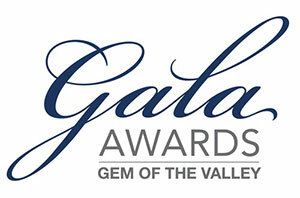 Join the celebration of excellence at the 15th annual Gem of the Valley Awards Gala. This premiere event features lively auction activities, an elegant dinner and awards program, honoring business and community achievements. In addition, awards will be given out to Chamber Volunteer of the Year, Ambassador of the Year, and Educators of the Year (East Valley, West Valley, Central Valley and Freeman School Districts). A highlight of the evening will be the presentation of the 2017 Harry E. Nelson Citizen of the Year Award. The Event will be held at the Mirabeau Park Hotel & Convention Center on Friday, January 19 beginning at 5:30pm. 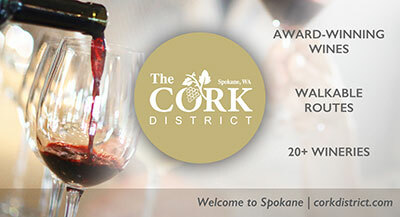 For tickets and registration information, visit spokanevalleychamber.org. 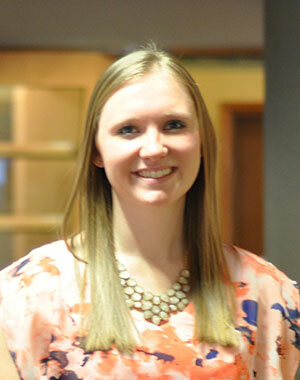 Coffman Engineers has recently hired Christie Johnson in their civil engineering department. Johnson earned her Bachelor's degree in Civil Engineering from the University of Idaho and comes to Coffman from T-O Engineers where she worked as a Staff Engineer. She is experienced with transportation focused analysis and design, cost estimating, and construction inspection. Whipple Consulting Engineers took on a 6-month remodel, renovating nearly every square inch of the building that, nearly a century of updating later, would no longer be recognizable to the founders of Opportunity Engineering. Whipple Consulting Engineers is an established consulting firm providing professional services publicly and privately for over 13 years. Based out of Spokane Valley, WCE provides land surveying, civil, structural and traffic engineering, land planning and landscape architectural services to the architectural and land development communities of the western United States. For more information visit WhippleCE.com. Healing Spokane is a group of healthcare professionals joining forces to bring 5 different viewpoints while finding common ground and putting it all together. There will be an informative discussion using a collaborative approach to treating insomnia. Insomnia: Beyond the Ordinary Approach will be held Monday, January 22 from 6-7:30pm at the WSU Spokane Campus, 668 N. Riverpoint Blvd-EWU Center Building, Auditorium-Room 122. The event is free and open to the public. Parking allowed in 'Orange Permit 1' lot using pay-display kiosk. For more information, visit www.healingspokane.org. 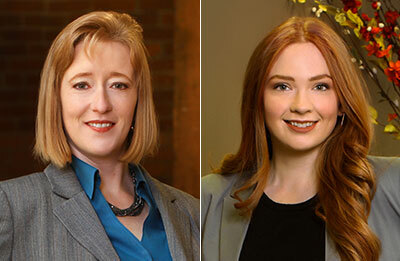 Bernardo Wills Architects has hired Sheila Gates-Ping, AIA, LEED AP, CSBA, architect, and Emily Moline Meyer, office manager. Gates-Ping is currently working on The Northern, a new apartment complex at Coeur d'Alene Place in Coeur d'Alene. Gates-Ping, who is licensed in Washington, has 16 years' experience in the architectural profession. She is a member of the American Institute of Architects, Spokane Preservation Advocates, and Marketing Associates of Spokane and holds a Bachelor of Science degree in Architecture and a Master of Architecture degree from the University of Idaho. Prior to joining Bernardo Wills Architects, she was an architect with Steven Meek Architects PS. Meyer provides general administrative support to the entire office. In addition to managing all front-office activities, she plays a key support role in other areas of the firm's operation, including financial, marketing, architectural project, and staffing. Meyer has a Bachelor of Arts degree in Sociology from Whitworth University. She was previously employed by Urban Outfitters as a customer service lead. Chef Adam Hegsted's Incrediburger & Eggs will open this month. The sign just went up at 909 W 1st Avenue next to the Ruby Hotel in the former Dempsey's Brass Rail bar. As the name says, the menu is mostly burgers and eggs. But not what you'd expect, especially from a creative chef like Hegsted. Fresh hand pressed umami seasoned burgers and a variety of gourmet egg sandwiches, dishes like Korean Honey Butter Fried Chicken and sides like Vodka battered onion rings! Check it out on facebook.